Roger H. Bedford, Sr. was born to Helen Rogers Bedford and Whyte Bedford on February 17, 1933 in Franklin County, Alabama. He graduated high school from Columbia Military Academy in Columbia, TN. He attended Georgetown College in Kentucky on a football scholarship before transferring to the University of Alabama where he obtained a B.S. degree. After serving in the Army in 1960, he returned to the University of Alabama and graduated from law school in 1963. He returned to Russellville, Alabama and practiced law until his retirement in 1989, at which time he and his wife of 46 years, Betty, moved to Baldwin County. Roger came to know Jesus Christ as his Savior and Lord at the age of 43. God in His mercy and grace allowed Roger to serve Him for 43 years. 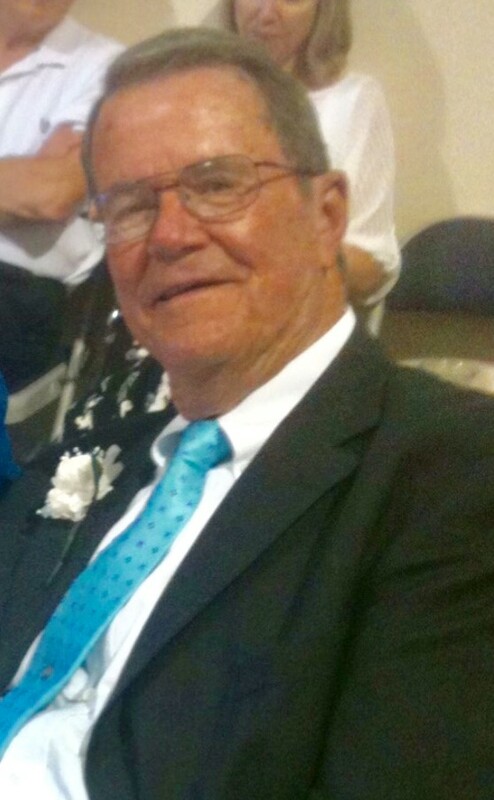 He was faithful in his spiritual gifts of evangelism and teaching in every church he attended, including Oyster Bay Baptist Church in Gulf Shores, where he was a member at the time of his death. In addition to his parents, he was predeceased by his only brother, William W. “Bill” Bedford; nephew, Franklin Bedford; aunt, Virginia Rogers; granddaughter, Tiffany Mitchell; and son-in-law, William “Bill” Roberson. Along with his wife, Betty Hall Bedford, he is survived by four sons, Roger H. Bedford, Jr. (Maudie), John Lawson Bedford (Julia), Robert E. Bedford and Ronald Daryle Steele (Kim); two daughters, Helen Bedford Roberson and Lisa Steele Murr (Chris); six grandchildren and seven great-grandchildren. Memorials may be made in his memory to Dementia/Alzheimer’s Research; Eyesight Foundation of Alabama, 700 18th Street South, #123, Birmingham, AL 35233 or to Leland Stewart Medical Expenses c/o Oyster Bay Baptist Church, 4280 Plash Road, Gulf Shores, AL 36542, or your favorite charity. A memorial service will be scheduled at a later date. Expressions of condolence for the family may be made online at www.hughesfh.com. Hughes Funeral Home, 7951 American Way, Daphne, AL, is assisting the family. He was a wonderful caring man who loved God and his family. He will be forever missed. Roger was my Sunday School teacher for several years, and he was a very good one. His class became so big we had to meet in the gym of the Old Spanish Fort Baptist Church, now Faith Family Fellowship. May God comfort and give you, Betty and your family, peace during the time of your loss. He is home with His Lord. I know he will be missed. I love this entire family so much! Continued prayers for you all. So sorry for the Bedford loss. Praying for the families. It was always fun to spend the night with Hi. Her dad would make breakfast and was always cracking jokes. Then he would send us off to school. Great memories of Mr. Bedford. He was always so nice! I know he’ll be missed. BETTY KNOW I WILL BE PRAYING FOR YOUR AND FAMILY IN THE DAYS AHEAD. WE KNOW OUR LOSS ON EARTH IS HEAVEN GAIN.ROGER TAUGHT ME SO MUCH ABOUT HOW TO WITNESS TO PEOPLE AND AND HIS TEACHING FROM THE WORD ALWAYS BROUGHT TRUTH AND HOW TO APPLY IT.